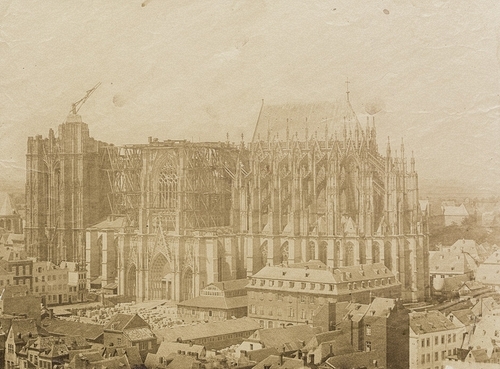 Michiels views of the Cologne Cathedral are among some of the earliest German architectural photographs and were displayed alongside his other photographs at the Paris World Fair in 1855. Lit. : Uta Grefe. Köln in frühen Photographien 1847-1914. Munich 1988, ill. plate 74 (variant - this print slightly earlier).